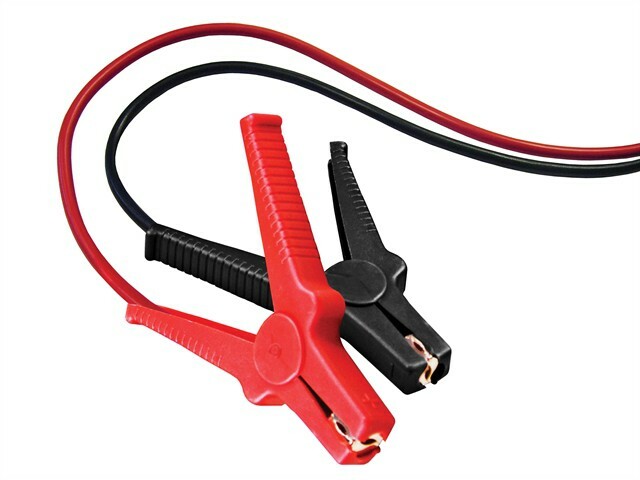 These Faithfull 3 metre x 16mm² Jump Leads (Booster Cables) are an essential piece of equipment for every car. The cables have a tough PVC insulated coating and feature fully insulated connector ends for extra safety by reducing the risk of accidental contact with the car body when in use and when using with batteries of a higher amperage. The cable and connector clips are colour coded, making them quick and easy to use. Suitable for petrol and diesel engines up to 2.0 Litre (2,000cc). Cable size: 3m x 16mm².